How to describe what I love about England without mentioning British music! 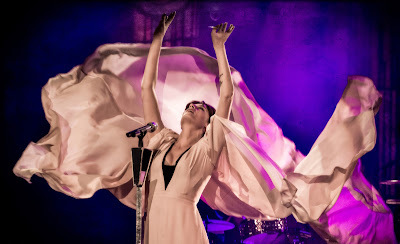 Before I came to Brighton, I was obsessed with one thing: to see Florence + The Machine performing live! She is a "superstar" in England whereas we never hear her on French radio (shame on you French people :O). And I finally saw her... but in Paris! The group was touring in England but they were performing on a smaller stage in Paris and I couldn't miss the opportunity to see her in such a good place. What a show! First of all, I really loved Florence's dress! She was actually playing with it while singing and it was simply beautiful. The only word that could describe this concert would be grace. It was the first concert when I was able to feel a special atmosphere and it was fitting completely with the group alchemy. But the cherry on the cake was the moment when some fans in the front asked for a specific song. 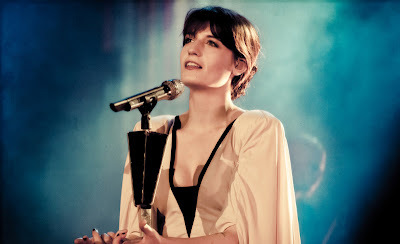 Florence asked the group to change the original set list to perform one of my favourite song: Strangeness and charm. That was amazing! Anyways, if you haven't seen the group live yet, I would strongly recommend you to go there and enjoy the harmony created between the audience and the groupe during their concerts. Plus, she is very close to her audience so if you're lucky, you might get some eye contacts ;).